Get more out of your iron. 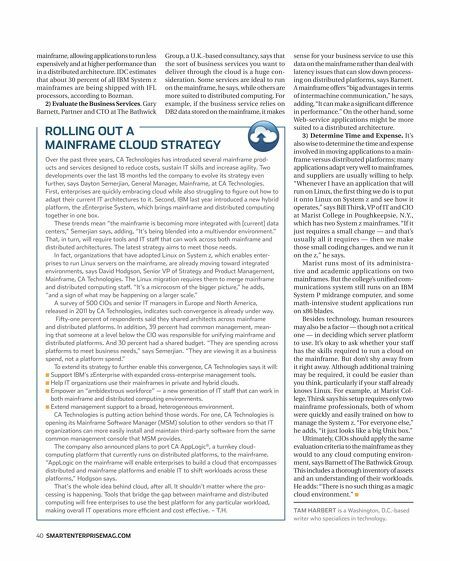 Next-generation Mainframe Management. It's a strategy for getting more out of your System z environment. CA Technologies solutions cover everything from simplifying your portfolio to reduce costs, to managing your complex, hybrid environment. In other words, we take what's great about Big Iron and make it better. 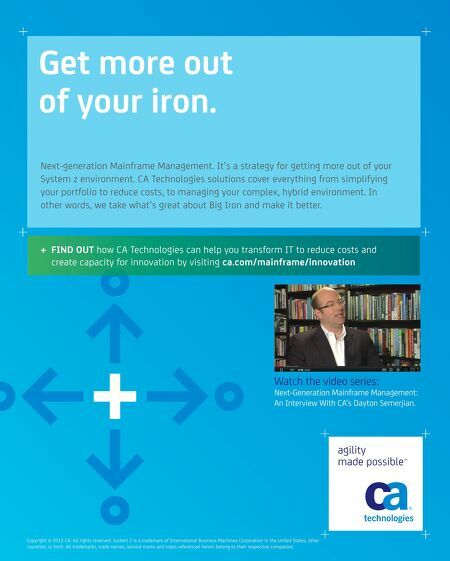 + FIND OUT how CA Technologies can help you transform IT to reduce costs and create capacity for innovation by visiting ca.com/mainframe/innovation Watch the video series: Next-Generation Mainframe Management: An Interview With CA's Dayton Semerjian. Copyright © 2012 CA. All rights reserved. System Z is a trademark of International Business Machines Corporation in the United States, other countries, or both. All trademarks, trade names, service marks and logos referenced herein belong to their respective companies.